I had eyed Trader Joe's version before, but a couple of things kept me from getting them. One is I that am not a fan of frozen clams. Call me a snob, but I think freezing tends to make the texture rubbery. 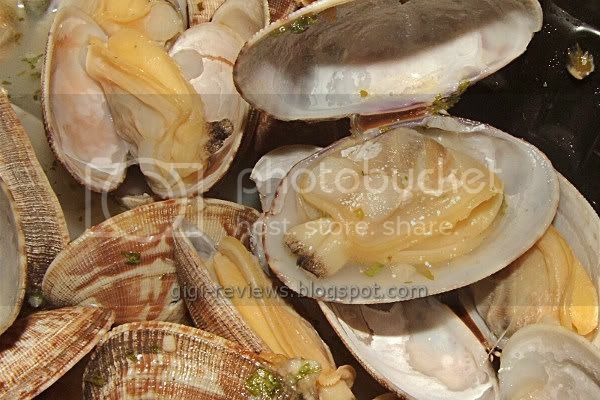 The other reason is that the clams are in a garlic butter sauce. Now, we all know I love both garlic and butter. And I do in fact like garlic butter sauces. 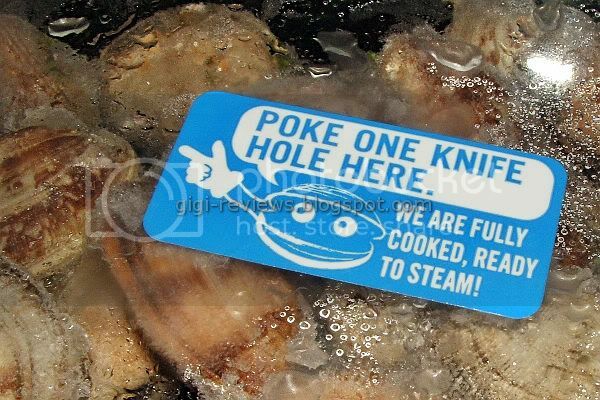 BUT, when it comes to steamed seafoods I tend to be a purist and prefer that they be naked. No garlic, no butter, no seasoning whatsoever. I love that briny, salty taste the clams have all on their own. 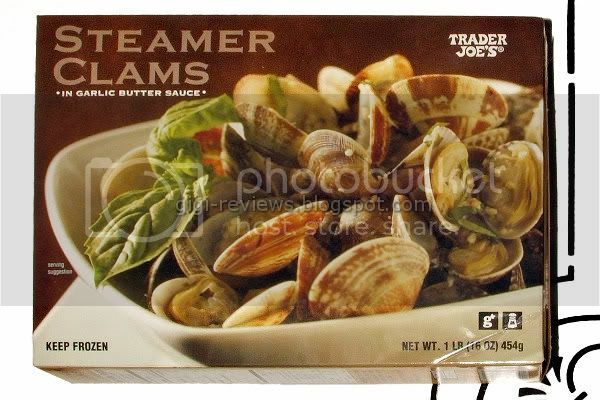 Unfortunately for Trader Joe, their boxed steamer clams broke both of those rules, as they are not only frozen, but frozen in garlic butter sauce. I have to give Trader Joe's some credit. The clams themselves were better than I had expected. The texture, while not as smooth as a fresh clam, was not as rubbery as I feared. The clams do have that ocean taste I love. I wish they'd been bigger, because it's the belly of the clam that I really crave -- but again, for what they were they were pretty good. The sauce is sauce only in the most basic sense. It's very, very watery; almost more of a brine than a sauce. If there is actually butter in there, it hides well. I could neither see it nor taste it. And the garlic tastes too strong, and stale. Oh, and it was sandy. The other major issue is that you have to be super-careful when eating because some of the shells are shattered, and there are bits of shell embedded everywhere. I don't know about you, but I prefer not to to eat things that may cut me. This is one of the rare times Trader Joe's disappoints. If not for the "sauce," the clams themselves would be OK...nothing great, but acceptable in a pinch. 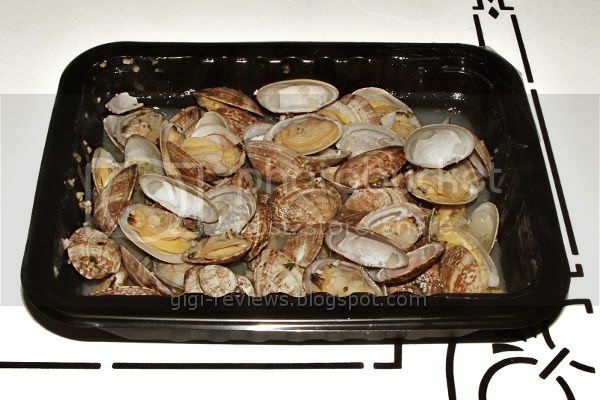 But since the sauce is already covering the clams, and the package has to remain sealed to cook, the two come as a package deal. (Yes, there may be ways around that -- but if I am going to go through that much effort, I could just buy live clams and be done with it.) Finally, the sand and shell bits really are a problem. Bottom line? Skip it. Trader Joe's has plenty of good things, but this ain't one of 'em.